Mother's day is officially two weeks away and I am SO ready for it! Besides the fact that I get to celebrate ME... I love reflecting on the women that made Kevin and I who we are! In light of that, I have created a small gift guide, for really ANYONE on your list. Whether they have it all already, or are the type to never spend money on themselves... or maybe they're a brand new mom! I have you covered - let me know if you have questions about anything in my gift guide in the comments and click the images to buy the products! Cheers! 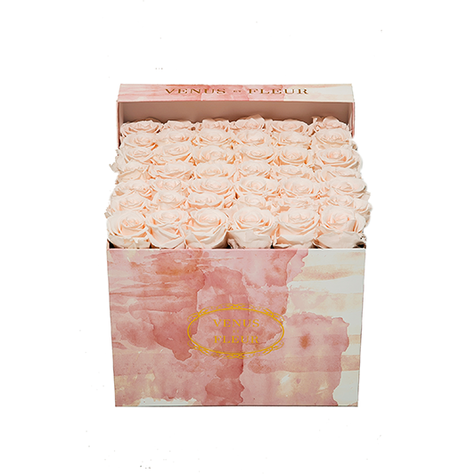 Why I love it: Besides the fact that these roses last a year, and this box is gorgeous? I love this because it is a true statement piece, and will WOW your mother's guests as much as it surprises her. She will quite literally tell you every single day about someone else who was impressed by the roses, and all year long she will be reminded of your appreciation of her. Why I love it: I actually have this in camel and want this color SO bad! I love this because I don't have to bring my purse everywhere. I have my ID and the debit card I use regularly in this and that is it, and it is really convenient! Plus it is OtterBox, so you can drop it over and over again and the phone will be safe from scratches and shattering. Perfect for: The mom who already has to carry a diaper bag. 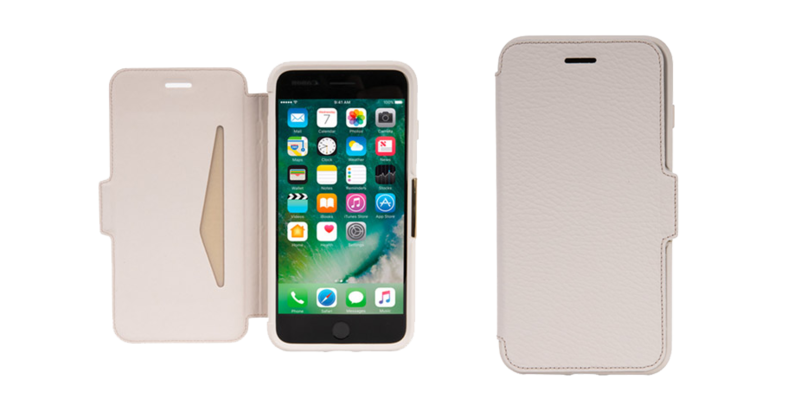 Save yourself the hassle of a huge wallet or a purse, and just use this! Why I love it: Because moms deserve to take a break every once in a while and relax! The bath bombs, soap and journal just scream TAKE A CHILL PILL! And the shirt, well I would wear this every weekend and I think it totally completes the bundle. This is cute and reminds me of one of those subscription box companies that you want to try but you don't want to commit. Moms, maybe you should just buy this for yourself! Perfect for: For the blogger type "cool mom" or the brand new mom! Why I love it: These can stay out on your kitchen counter as decor and double for being useful in the kitchen. I love the vibrant colors and the style would go with a ton of different types of kitchen decor. Why I love it: The secret sauce is super moisturizing and the CC+ Cream I have actually been using instead of my foundation because it is SPF 50+! I love that now that I am outside a lot more due to the weather. The BYE BYE under eye is also SUPER popular. 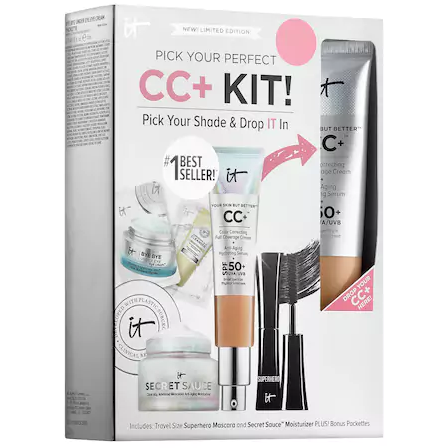 Basically everything in this bundle is a great product and JUST the CC cream is $38 usually so this is a steal! Perfect for: The mom who doesn't like wearing a lot of makeup but wants coverage. The mom on the go. Why I love it: I love all of the colors that it comes in (red with gold, white with silver, rose gold with lilac, turquoise with gold, hot pink with gold) and the lilac, red and ivory are all mother of pearl. The length is perfect for a V neck tee and a blazer or a high beck top. And it is classy but still stands out. Perfect for: Mothers of any age who dress who like to dress it up a bit. Why I love it: It gives more than just once, you gift wine monthly! Do it for 3 months or even a year! It gets you trying new wines, and is customizable to your (or your mom's) taste. 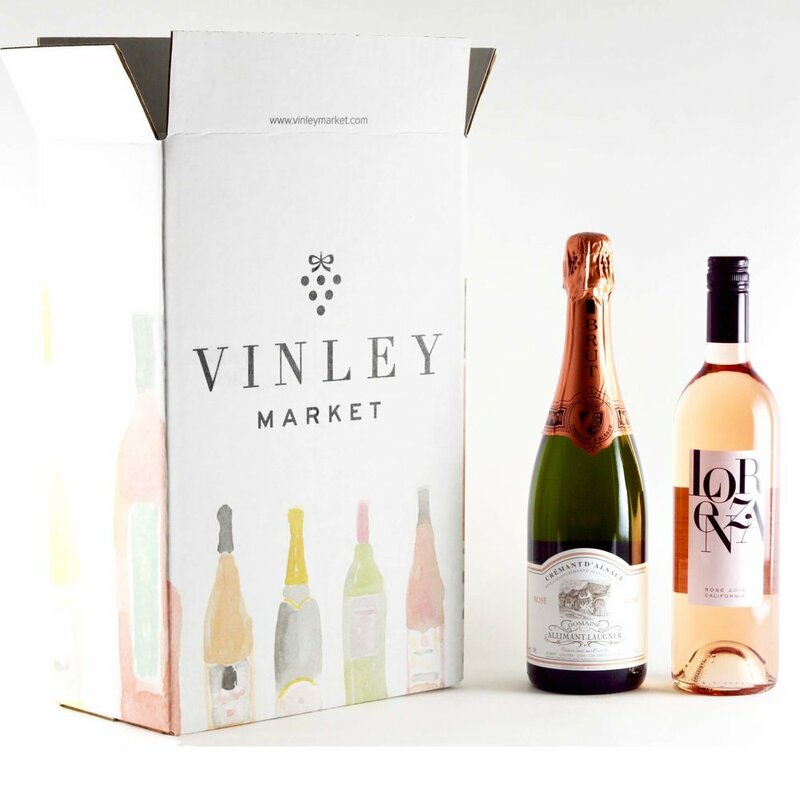 I have a wine subscription, and if I don't like the type, they are really good wine to gift to other people too when you're in a pinch and need a thank you present. (It also should get me to be more active on Vivino, which I am recently obsessed with). Basically I love having a wine membership. So buy one for your mom. 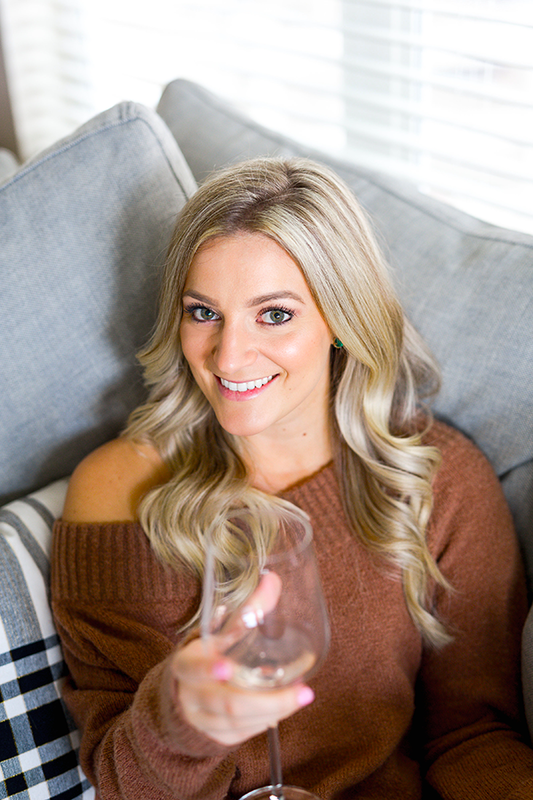 Perfect for: The wine loving mama. Duh. Why I love it: This electric aromatherapy diffuser has a built in timer so you don't have to worry about shutting it off. I also LOVE how it looks like a piece of decor and goes with the transitional or traditional style home due to the color and pattern of the wood design. Perfect for: The mom who works long days, or who needs help de-stressing. Why I love it: First of all, I do not sell Rodan + Fields so you are not hearing this from a sales person! I love this set because it is 100% anti-aging focused and as I am entering my thirties in May, all I am obsessing about lately is anti-aging! Plus, I really do believe in the before and afters I have seen from this company. You don't have to buy on a recurring basis I am told - so that is good news too. Plus this box is cute. Amiright? Fix those crows feet. Try it out, let me know what you think. Perfect for: The mom who refuses to spend money on good skincare (or herself for that matter)... or the mom who complains about lines on their face, or has been considering Botox (this is me but Kevin says no. Boo). Why I love it: Because we are so much more than a mother, and that even though being a mom IS enough, it is not all encompassing. We are a friend, many of us a partner. An employee, or a coach. A manager, a business owner. The list goes on. We are not defined by motherhood, but it is a big part of who we are. Perfect for: The mom who does a lot, and needs a reminder about how amazing she is. 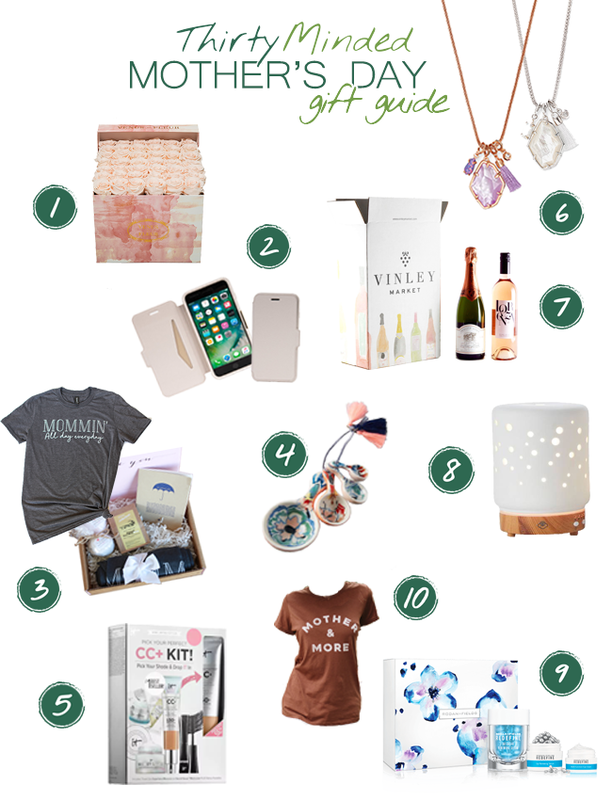 I hope you've enjoyed my gift guide! If you have questions about any of the products OR have anything I need to know about for Mother's Day gifting, let me know in the comments!